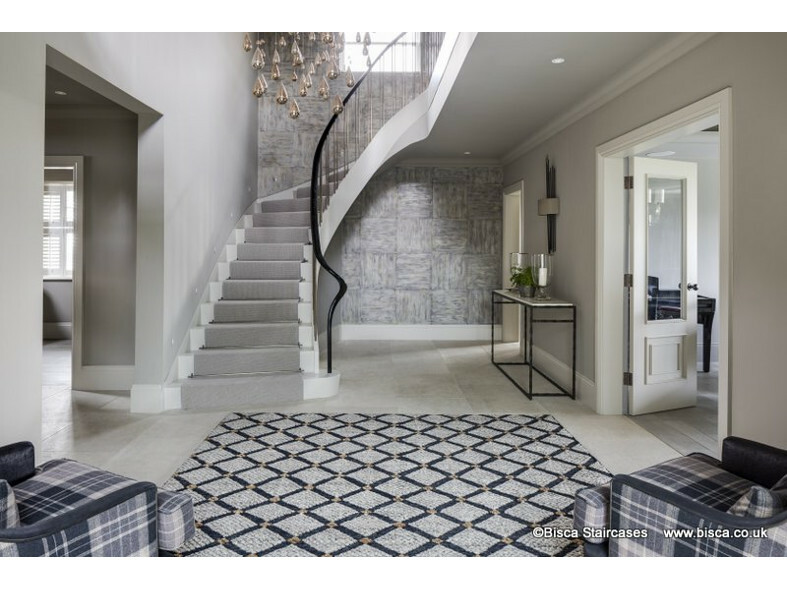 The clients' inspiration for their staircase was an ornate balustrade image seen in a magazine. However, as their new build project progressed it became clear that this design would not work for a number of reasons. The builder had begun work before a staircase specialist was engaged. In doing so he actually set the stair space in such a way that the ornate design would not work and the clients were restricted in what they could have. 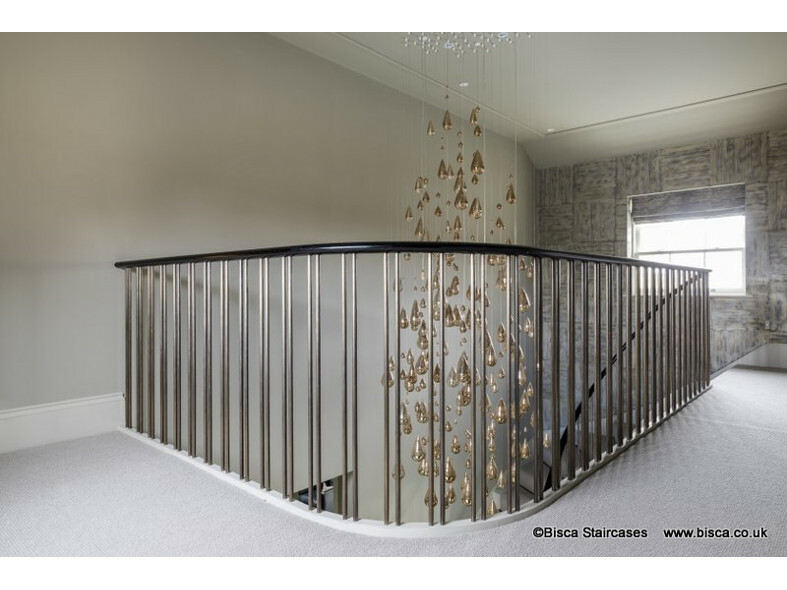 Aged, bronzed ironmongery features throughout the new build property and Bisca's design intent was to reflect this and add a contemporary twist with a dark timber handrail. We provided several options for the plan of the stair - the clients chose a curved option providing easy access to adjacent rooms. 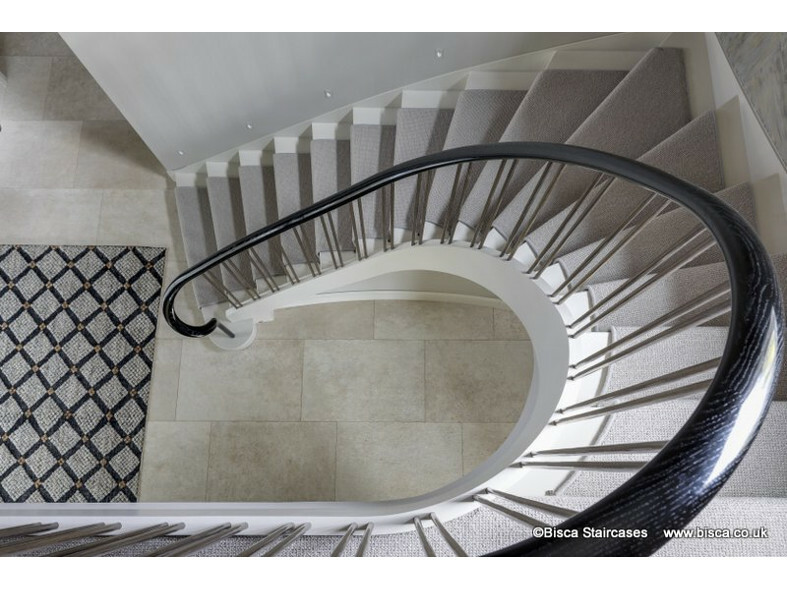 The Bisca balustrade design takes inspiration from the ornate image supplied, yet in a simplified and classic form. Using pairs of uprights, we created non-uniform uniformity! The uprights are forged, bronzed and individually aged by Bisca’s in-house blacksmith. 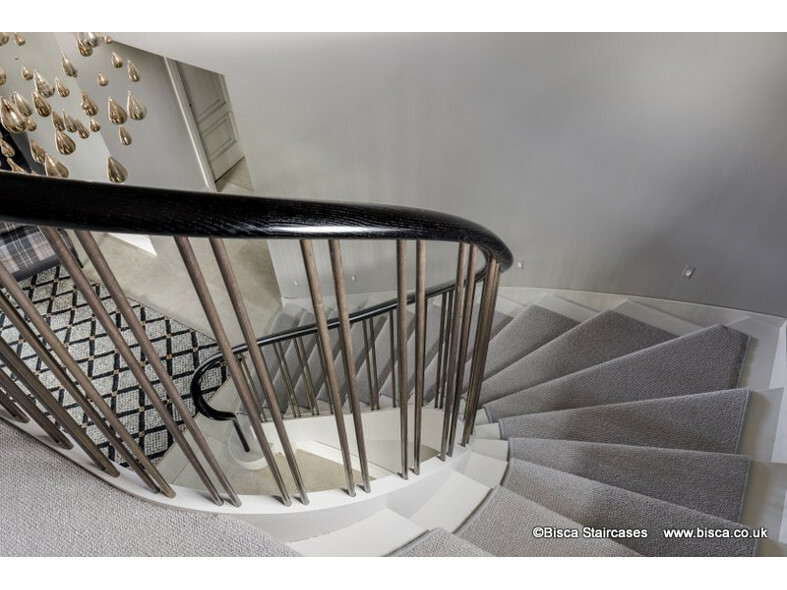 A black, polished handrail sweeps along the landing, down the stair and into a feature newel; the contemporary newel suits the style of the balustrade and other areas of the property. Bisca included the under stairs cupboard in the design. A concealed door set into the curved wall provides access. Aged bronzed stair-rods and brackets, matching the uprights were also supplied by Bisca. The clients added a beautiful bronzed feature chandelier which sets off the bronze of the balustrade to perfection. For more information on this apartment staircase, please quote reference 6020.